Family law matters are rarely clear-cut issues. Whether you’re filing for divorce or beginning your child custody case, you might feel anxious or fearful of what’s to come. Feel secure about your legal matters by hiring Thomas Law Group, P.C. in Denver, Colorado. Attorney Thomas will guide you through this difficult phase of your life. He’ll work hard to achieve a fruitful outcome in your case by negotiating issues and coming to a settlement. If he can’t reach a positive outcome through negotiation, attorney Thomas is a seasoned litigator who is not afraid to take your case to court. 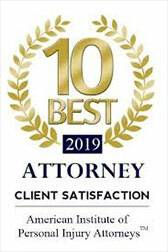 He can assist you with the legal matters including Divorce, Child custody and Stepparent adoption. See if attorney Thomas is a good fit for your case by scheduling your free 30-minute consultation. Call 303-293-1941 to speak with an accomplished Denver, CO family law attorney about your legal matters. We provide our legal services across Denver, Adams County and the surrounding areas. Your family law matters are in good hands with attorney Thomas of Denver, CO.
We provide our legal services across Denver, Adams County, Arapahoe County and the surrounding areas. Some divorces simply can’t be settled outside of court. You can count on our Denver Divorce Attorney at Thomas Law Group, P.C. to be by your side fighting for the best possible result in your case. Are you ready to assume legal custody of your stepchild? Give your stepchild the emotional and financial support they deserve by filing for adoption. Stepparent Adoption Attorney at Thomas Law Group, P.C. Paternity cases are filed in order to establish the identity of the father of a child. In some instances the identity of the father may be suspected by the mother, but the father may not be..